The ultimate Blue Mountains guide for the family. 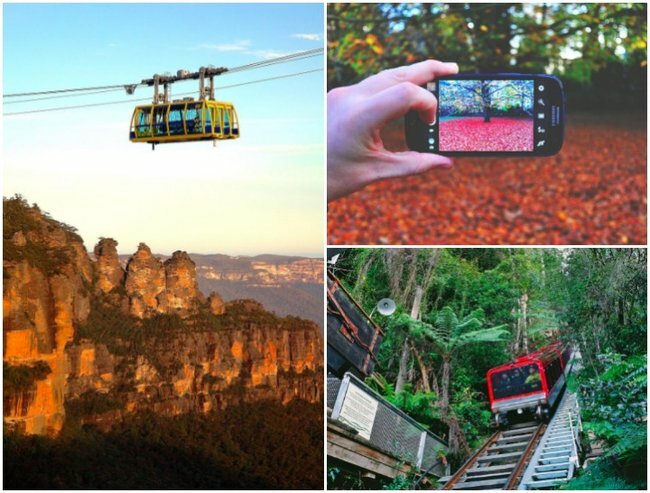 What to do and see in the Blue Mountains as a family. There are a few things I’m going to do differently when we go to Scenic World in the Blue Mountains this time. This time, we’re going to plan ahead so we don’t miss out on anything. This time we’re going to stop off and make time to see all the sites we come across both during the car ride there and then on our way home. Taking our children to the Blue Mountains had been a dream of ours for years but for some reason we could never get there, until last year, and they loved every single second of it. Now they constantly ask, “When can we go to the Blue Mountains again?” That’s because we can see them from where we live, the beautiful blue vista in the distance holding so many happy memories, with many more to come. Our first trip there was just a day trip and it was rushed. The kids got tired. We missed out on the Scenic Skyway. It was an incredible day but could have been so much better. This time we’re giving ourselves two days in which to fully enjoy all that Scenic World has to offer by spending the night at one of the five local camp sites. I can already imagine the joy of waking up to the crisp mountain air and the beautiful views. From Scenic World we can see the Three Sisters, the Jamison Valley and Katoomba Falls. We can go on the Scenic Skyway, the Scenic Walkway, the Scenic Cableway and the Scenic Railway – the steepest incline railway in world, which much to my horror plunged down the mountain and then after reaching the bottom, went all the way back again – in reverse. My poor stomach. I was determined to keep down my delicious walnut, beetroot and goat’s cheese salad – did I mention the amazing food? The kids went on the railway three times; once was enough for me. "The steepest incline railway in world." Image: supplied. We’re going to need two days this time because for the Easter break and the April school holidays, Scenic World will have some amazing entertainment for kids and parents alike. During Easter, the forecourt will be transformed into a festive farmyard where the kids can feed and pat piglets, chicks, calves, baby goats and bunny rabbits of course. There will be hot chocolate and fresh hot cross buns at the pop-up café and roving musicians – the Hot Potato band. Then in the April school holidays we can check out Sculpture at Scenic World, which has been transforming the natural Jurassic rainforest with world-class sculptures for five years. More than 30 talented artists both local, interstate and international will exhibit their sculptures and installations along the 2.4km boardwalk – the longest elevated boardwalk in Australia. "In the April school holidays we can check out Sculpture at Scenic World." Image: supplied. Once your children are properly inspired by the art and the natural wonders of the Blue Mountains, they can join the Sculpture for Small People workshops where they can learn some exciting new skills and take home their creation for just $15. And the best thing? Scenic World is located just 90 minutes from Sydney. Family passes are great value for two adults and up to five children, plus you can get an early bird discount by arriving before 10am during Easter and the school holidays. From our first visit, we learnt that it’s a good idea to book ahead online so you don’t miss out on everything Scenic World has to offer. Scenic World is the ultimate family adventure. We took a million photos during our trip. I’ve chosen just a few to share with you. We took so many of the gorgeous views but photos don’t do them justice. You’ll just have to see for yourself. Visit scenicworld.com.au to organise your trip. You can purchase your tickets, take an interactive tour, find out about the local camping sites and find out all about the upcoming special events for Easter and the April school holidays. What are your experiences with family outings?